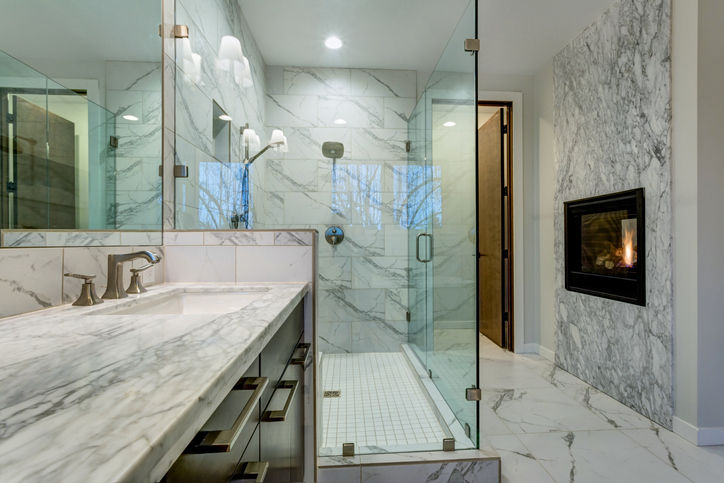 When it comes to the bathroom, one of the most common questions homeowners have is whether to install a walk-in bathtub or a shower. Both have distinct advantages, so how do you choose? Does it make more sense to add a space-saving shower or should you go with the family friendly tub? To help you reach a good decision on the walk-in bathtub vs. walk-in shower conundrum, here’s a look at some advantages and disadvantages of each. CON: You can’t prefill the tub, but rather have to get in, sit down and start adding water. Likewise, you have to empty the tub before getting out. CON: Installation can be pricey. What do you have now? In the case of a remodel, sticking with the layout you have is usually the easiest and least costly option. Sticking with a shower, for example, when that’s what you already have will save you the extra construction work involved in creating a walk-in bathtub. How much space do you have? In a secondary bathroom where space is at a premium, going with a walk-in shower is a great way to open up the floor space. Who uses the bathroom? Whether you’re talking about the master bathroom or a guest bath off the hallway, think about who primarily uses the bathroom. Are they young children or elderly family members? Would they be more comfortable with a shower or a walk-in tub? Ultimately, when it comes to the question of walk-in bathtub vs. walk-in shower, the best choice for you is dependent on several factors. Consider the size of your bathroom, who uses it, what you need and like, and then make your choice! To find affordably priced, high-quality bathtubs and shower fixtures online, come to Modern Bathroom! Shop our site or contact us today to learn more.